The breathtaking French Alps are a playground for winter sports enthusiasts and hikers and apart from the world-renowned ski resorts there are charming medieval villages, beautiful lakes and ancient cities like Grenoble to be explored. First and foremost, any mention of the French Alps summons images of idyllic skiing and snowboarding on some of the best and most extensive slopes in Europe. There is an amazing variety of resorts to choose from. Young resorts like Flaine, purpose-built, modern and extremely user-friendly, with access to all the wonders of the famous 'Le Grand Massif' ski area, will impress seasoned skiers. Lesser-known gems like the small Samoëns, a picturesque medieval village and the only French resort to be designated an historical monument, will delight those who demand culture as well as sport. The French Alps are also popular in the summer months when sailing and hiking become the activities of choice. Visitors flock to the beautifully situated lake-side and mountain villages of the region for picnics, walks and some historical sightseeing among the natural splendour. The French Alps get a lot of sun during the year and the most popular time to visit for hikers and climbers is between July and September, when the weather is warm and predictable and the high snows have melted. The ski season runs from late November to April and the slopes are busiest over the Christmas and Easter holidays. Read more on the French Alps climate and weather. -Sightsee in the picturesque old town of Briançon, the highest town in Europe. -Visit the beautiful Parc Naturel Regional du Vercours. -Go museum-hopping in Grenoble, the 'Capital of the Alps'. -Share a kiss on the Lovers' Bridge in Annecy. -Take a cruise on Lac du Bourget, the largest natural freshwater lake in France. -Enjoy the spa facilities at Evian-les-Bains. -Hike up La Tournette mountain, near Annecy, for glorious views. -Challenge yourself on the ski slopes of Chamonix or the Trois Vallées ski area. EuroAirport Basel-Mulhouse-Freiburg, located on the border of Switzerland, France and Germany, is one of the best airports servicing the French Alps region. The airport is under four miles (6km) northwest of Basel, Switzerland, and 14 miles (22km) southeast of Mulhouse France, and there is a regular bus service to numerous French villages and resorts. Chambéry-Savoie Airport, located six miles (about 10km) north of Chambéry, is another option. Grenoble-Isere Airport, located 28 miles (45km) from Grenoble, is a small but very popular airport. Get more information on Airports in the French Alps. -The highest peak in the Alps is Mont Blanc, which stands at 15,771 feet (4,807m), making it the highest peak in Western Europe. -Snow rests permanently on the French Alps above the altitude of 9,186 feet (2,800m). -Grenoble is the biggest city in the Alps, with about 500,000 inhabitants. The deep valleys and soaring snow-covered peaks of the Alps border France, Switzerland and Italy in dramatic splendour, delighting walkers and climbers in summer and offering a challenge to skiers and snowboarders in the winter months. Downhill skiing was established here towards the end of the 19th century by the English. Since then an increasing number of French and international skiers (and more recently snowboarders) have been attracted to the first-rate resorts. French resorts may not be as quite as picturesque as those in Switzerland and Austria but they are some of the most extensive and best. By European standards they are high, mostly between 6,562 and 9,843 feet (2,000m and 3,000m), and have reliable snow. The ski season runs from late November to April and is busiest during the Christmas and Easter holidays. Climbers and hikers head for the Alps between July and September, when the weather is more predictable and the snow above 6,562 feet (2,000m) has melted. There are a number of national parks with round-the-park trails requiring one or two weeks walking. There are also longer trans-alpine routes, which should only be attempted by experienced walkers. Local tourist offices supply detailed maps of their area. The towns of Grenoble, Annecy and Chambéry are good bases for hiking. 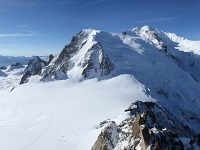 Climbers tend to head to the Chamonix-Mont Blanc area.